The history of coach touring in the UK begins in the early 1900s, when a group of enterprising businessmen in the northwest of England began offering excursions to destinations such as Manchester and North Wales. These early pioneers, men like Herbert Shearing and James Smith, gradually broadened their horizons, with the first international tours departing for continental Europe in 1938. After the war the industry continued to expand, but coach companies faced increasing competition with the advent of mass air travel and package tours. As the travel landscape has continued to evolve, with the rise of budget airlines, do-it-yourself holidays and disruptive new services such as Airbnb, you’d be forgiven for thinking that the golden age of coach travel is in the past. Whether you’re travelling on a short break or over long distances, personal space is likely to be your number one concern. Anyone who’s had to endure a Ryanair flight will know what insufficient legroom feels like, and coach operators compete with each other to offer the most generous seat pitch. Tauck’s coach tours accommodate a maximum of 40 people, on board vehicles that are designed to take 60 or more. 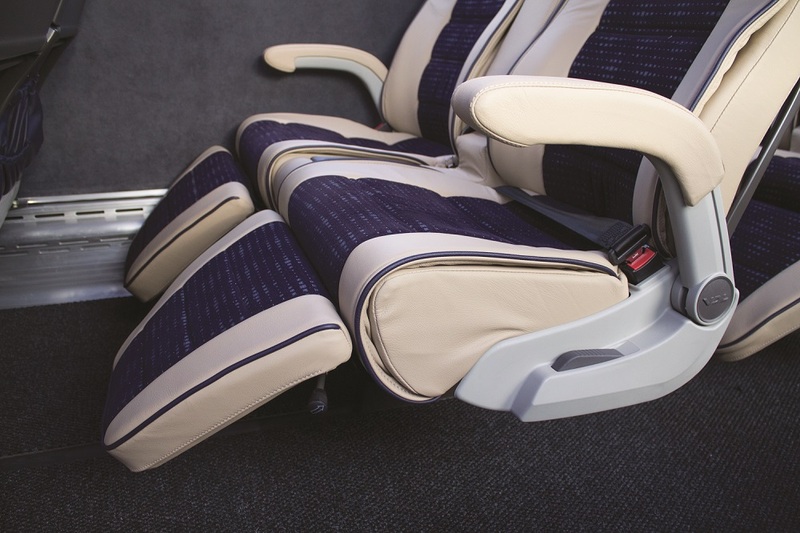 Comfortable reclining leather seats with adjustable foot rests are the norm across the industry, and Tauck also rotate guests during the course of the tour so that everyone gets to experience the front seats at least once during their trip. Leger Holidays have 35 years of experience operating award-winning coach tours, and their top-of-the-range Luxuria coaches have just 31 seats, allowing for an exceptionally spacious seat layout. These coaches are particularly popular with solo travellers, with a number of single seats available. 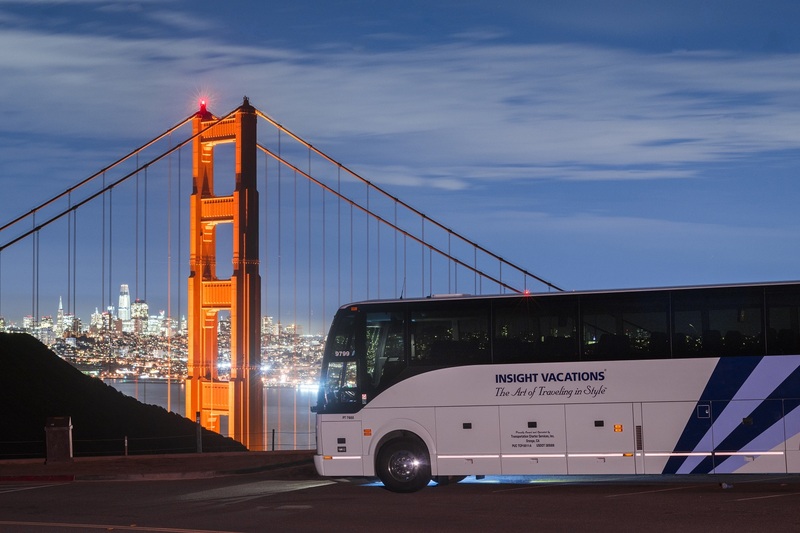 Insight Vacations are another highly rated tour company with a focus on smaller group sizes, meaning more space on board and less waiting around for other people. Groups are limited to a maximum of 40 guests, with an average of around 30, and their exclusive Luxury Gold trips are restricted to just 24 guests on selected itineraries. Today’s traveller expects connectivity and quality entertainment as standard, and the likes of Tauck and Trafalgar include complimentary onboard WiFi, allowing you to keep in touch with friends and family while you’re away. 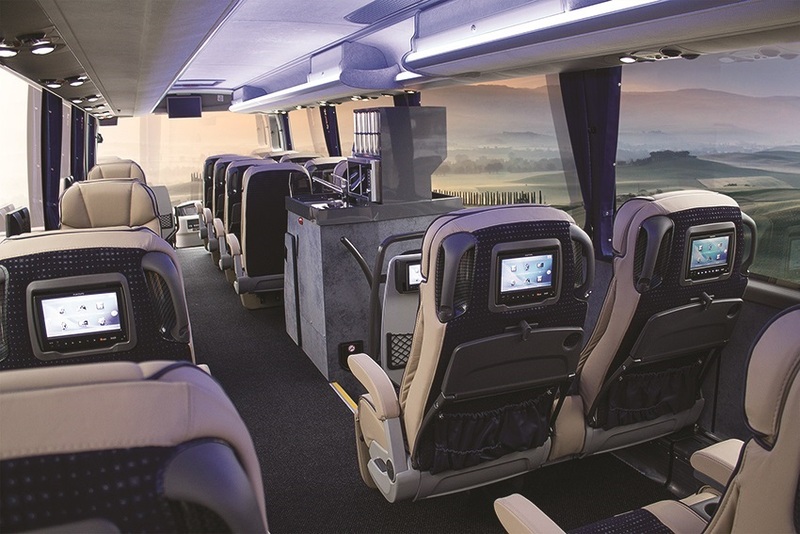 Newmarket Holidays’ high-tech Scania coaches feature USB charging points, LED lighting and the latest audio-visual equipment, delivering the sort of onboard experience that you’d expect from a top airline rather than a coach operator. Tauck also show videos on board their coaches to set the scene before you arrive, such as a film about the wildlife you’re going to see in the national park you’re visiting. Leger’s flagship Luxuria coaches have a personal entertainment system built into each seat, pre-loaded with a wide selection of films, music and games, along with adjustable mood lighting to help you relax. It’s all very well installing the latest gadgets, but it counts for little if you don’t get the basics right. Thankfully our favourite operators all excel when it comes to those essential creature comforts. Leger’s coaches are kitted out with air conditioning, drinks machines and onboard toilets, and their Silver Service departures also include individual climate control, satellite navigation displays, free personal headphones and a spacious lounge at the rear where you can socialise with fellow passengers. Of course, when you book a coach tour you’re not just booking a vehicle. Experienced operators such as Trafalgar have been organising coach holidays for decades, and offer finely honed itineraries that take advantage of their in-depth knowledge and local contacts. Trafalgar’s knowledgeable Travel Directors bring each destination to life, sharing their insider tips and hidden gems. For those who enjoy the finer things in life, Luxury Gold’s tours include accommodation in stylish boutique hotels and fine dining at some of the world’s best restaurants. Your tour also includes VIP private transfers between your home and the airport, meaning that your holiday begins the moment you step out of your front door. If you’re still not sure whether a coach holiday is right for you, it’s worth remembering that escorted tour operators offer a whole range of ways to travel, many of which don’t fit neatly with the traditional definition of a coach tour. Tauck’s Peru tours use micro buses in Cusco as they’re more suited to navigating the city’s narrow streets, while their tours around Kenya and Tanzania use 6-person open-top jeeps. However you choose to travel, the beauty of modern escorted touring is that there is so much choice, with levels of comfort and luxury that the early coach travel pioneers simply couldn’t have imagined. And, if you don't want to board a plane to join a coach tour further afield, you can always take a coach tour of the UK or Europe and board just moments from your home, taking out the need for any airport stress. Take a look at the many options available for UK Coach Departures.